This year for my sister’s birthday dinner we celebrated at Brampton’s Spoonful, a buffet owned by Imperial Buffet. There was a huge selection of food including a raw seafood bar, dessert tables, soft-serve ice cream, made to order pasta and kalbi ribs. The food was decent but occasionally I’d pick up something pretty and find there was too much wasabi in it. The best part was definitely the dessert tables. There was a donut fryer, cakes, cupcakes, brownies, a chocolate fountain and more. 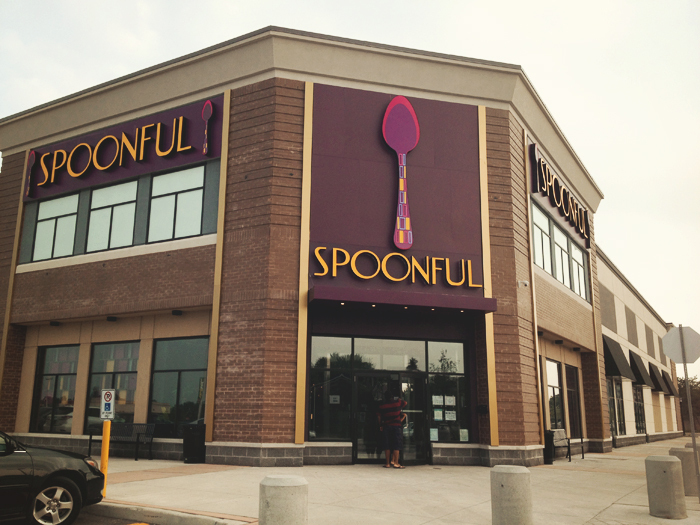 If you’re looking for something slightly more up-scale than Mandarin, Spoonful is a good place to go.